The OD-1-IR utilizes an infrared emitter and detector (included) between the rails for detection. 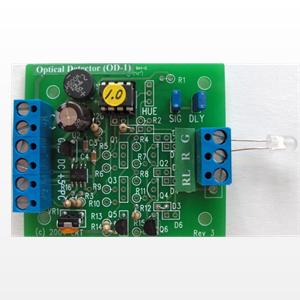 When the IR beam is reflected by the train the OD-1-IR will activate its red outputs. When the beam is not reflected the OD-1-IR will activate its green output. Use this version under any layout lighting condition. Also includes a red/green 5mm LED. 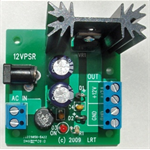 Requires a 7-9V AC or 9-12V DC (such as our WT1A together with our 12VPSR).